Phase one of the Burt Lake Trail was completed in the fall of 2013. Five miles of trail consisting of separated crushed limestone and paved shoulders runs from Maple Bay Road on Brutus Road to Hogsback Road on West Burt Lake Road. Funding for the trail came from grants through MDOT Transportation Enhancement Funds, the Michigan Natural Resources Trust Fund (MNRTF), and a local match of $140,000 which was raised from a large number of residents of Burt Township, as well as residents and visitors from Cheboygan and Emmet County. Groups including The Burt Lake Preservation Association (BLPA), The Tri-County Bicycle Association DALMAC Fund, Hospitalists of Northern Michigan, Petoskey-Harbor Springs Area Foundation, Straits Area Community Foundation, Citizens National Bank, Xcel Physical Therapy, Indian River and the Indian River Kayak/Bike Biathlon also contributed to the construction of the trail. The first five miles of trail have held up well with modifications on three hills to prevent erosion. Volunteers are providing minor maintenance for the trail including raking, grading, sweeping and litter pick up. Burt Township is the grantee for the state grants and is responsible for the maintenance of the trail and has been working cooperatively with the Cheboygan County Road Commission to keep the trail in satisfactory condition. Phase two of the Burt Lake Trail is underway. A new Michigan Natural Resources Trust Fund grant was awarded in December 2016. Along with the MNRTF grant an MDOT Transportation Alternative Program (TAP) grant was awarded in 2017. 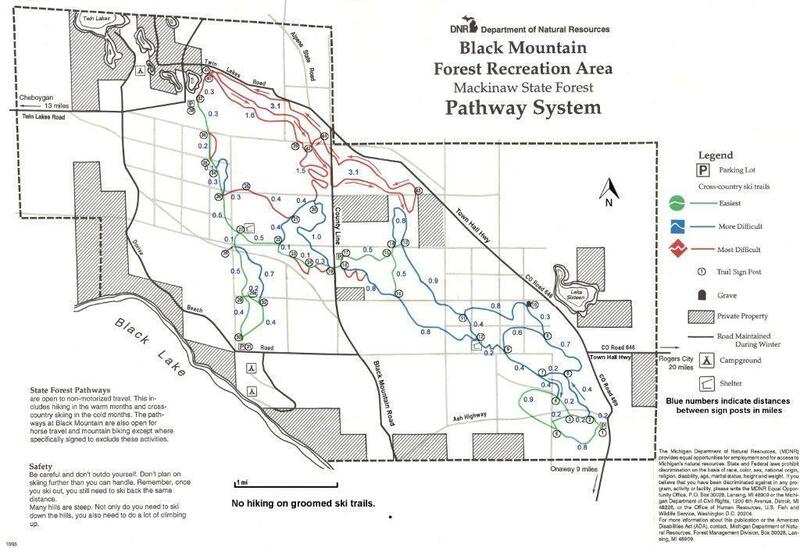 Construction of Phase two of the trail is expected to take place in spring 2019. A valuable and necessary easement through the University of Michigan Biological Station was obtained which allowed bids to be taken in the fall of 2018. This portion of the trail extends the present Burt Lake Trail an additional 1.3 miles and is planned as a separated paved trail. Donations can be accepted now for the next phase of the Burt Lake Trail by sending contributions to the Top of Michigan Trails Council. Designate that your funds are to be directed to the Burt Lake Trail! 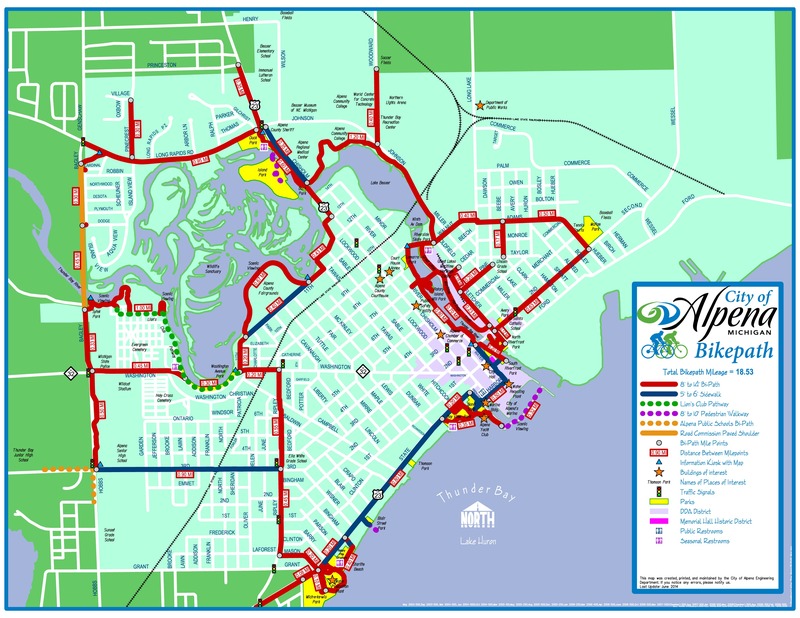 In July 2015 the Michigander Bicycle Tour including over 400 participants used the Burt Lake Trail as a connector bike route from Topinabee to Brutus on their route from Cheboygan to Harbor Springs. Many residents and visitors have biked, jogged, trained and walked on the trail since its Grand Opening in August, 2013. In addition the University of Michigan Men and Women Cross Country teams have used the Burt Lake Trail as part of their pre-season training. 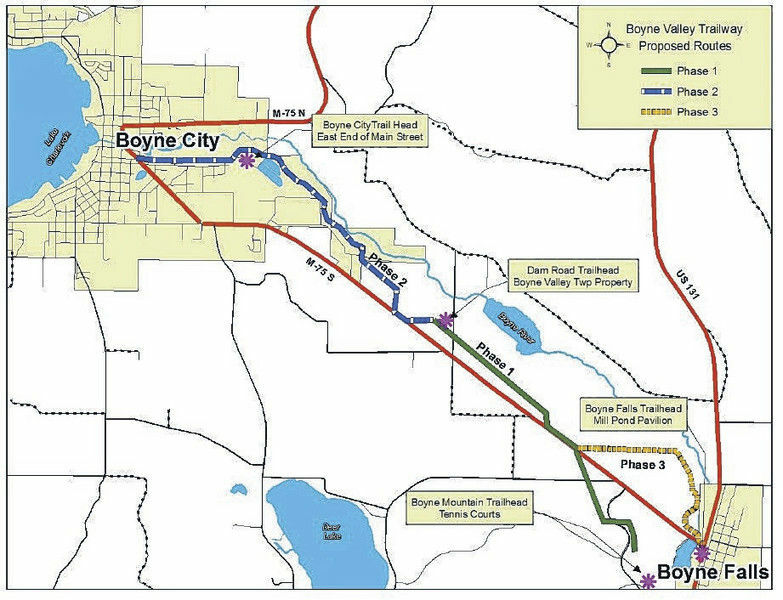 When completed the Burt Lake Trail will connect the North Central State Trail to the North Western State Trail creating a 75+ mile looped trail. 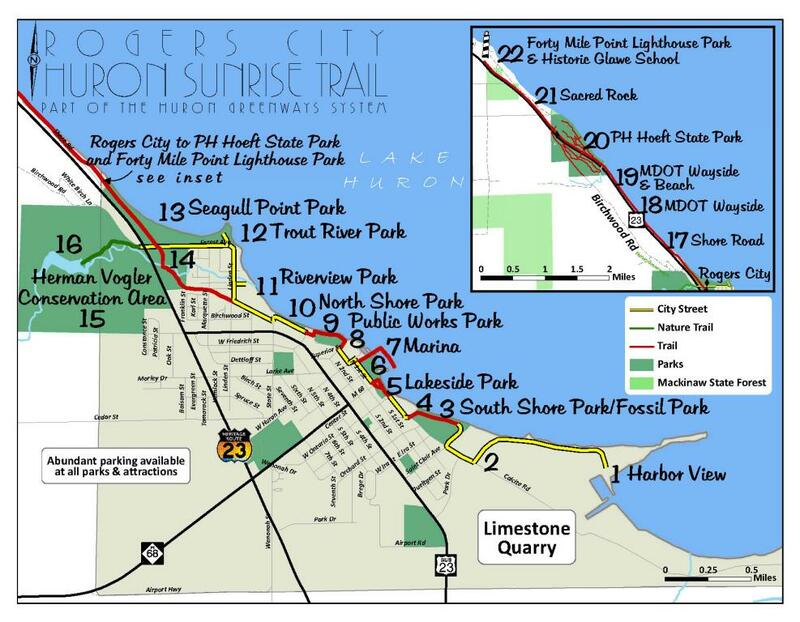 The Burt Lake Trail will also connect to the state endorsed Iron-Belle Trail, a planned bike route from Belle Isle in southern Michigan to Iron Mountain in the Upper Peninsula, utilizing part of the North Central State Trail. Future segments of the Burt Lake Trail will include widened shoulders along present roads and separated pathways when possible. The Burt Lake Trail is a great example of how collaborative efforts can achieve so much. The trail could not have happened without the support of many individuals, organizations, and government agencies. We look forward to the continued support and involvement of our many trail partners. Become a member of the Top of Michigan Trails Council and encourage your friends and family to do the same. Donate to the BURT LAKE TRAIL by sending your contribution to the Top of Michigan Trails Council /BURT LAKE TRAIL. TOMTC is a 501c.3 organization. You’ll find it very easy to donate HERE. Ride, walk, and enjoy the wonderful Northern Michigan Trails.